That's how most of the people know the vibrant area, where many Saints and Sages in the past were travelling on foot, in the heart reciting the holy mystical syllables. The people in the hilly area live a very hard and a very simple life. For many of them, who had their families in remote areas, the essential need of education was too difficult to reach. Basic education and Higher education had become a question for them. Our Gurudev Paramahamsa Omkarananda Saraswati, a God-realized Saint, known as being Himself a great Educationist and lovingly called 'Shakespeare of Sivananda Ashram', recognized the need of proper education for these people, who are living in different hilly and remote places, as most important. He knew that good schools were immediately needed for a good character building, for highest moral behaviour and understanding of the great spiritual values. With His own efforts, very hard and dynamic labour, Swamiji established numerous educational, social and spiritual institutions to that extent, that today His name is going like an echo through the holy land of Garhwal. Within no time His saplings have borne fruits and very often one could see local upcoming students participating in competitions with great success. 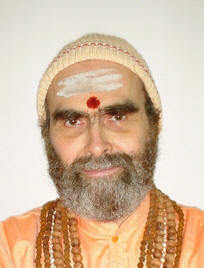 People quickly realized that Swamiji is of less words but of real and helpful actions. An endless flow of requests from far and near villages came, to provide facilities for proper Basic and High School facilities. Every school, every educational Setup, in whatsoever hardship having been built up, or contributed, is in fact a flower to the Holy Feet of that great Saint, Swami Omkarananda, who has removed the sorrows of numerous suffering families. The following pages give you a picture of the efforts by Swami Omkarananda, with many details, breathtaking pictures and basic information about every individual School or Institute. Besides these wonderful expressions, which are being given in this flowering booklet, all efforts were taken to bring the reader directly into the beauty of the Himalayas and their sparkling children.